Total Loss Threshold by State. When is a vehicle declared a total loss. 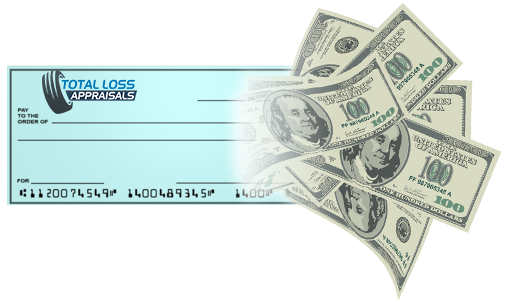 The Total Loss Threshold is the dollar amount or percentage of value that triggers an automobile’s being declared a total loss by the insurance company. This amount differs from state to state, please review the table below to learn which method your insurance carrier will use to determine if your vehicle is to be totaled. This percentage is normally set by the state or the legislature. Most states have a 3/4 total loss ratio. This is normally set by the carrier or a law that limits the carrier’s exposure to a claim by allowing them to pay the lesser of the two amounts below. The salvage value is normally obtained by contacting salvage yard or soliciting a salvage bid from a salvage re-builder. Insurance companies often auction off totaled cars at salvage auctions, example, IAA. If you own the car free and clear (no liens), you have the right to buy-back the vehicle from the insurance company for the salvage value. If you need professional help navigating your total loss claim, contact Tony Rached at Appraisal Engine by calling 1-800-667-2326. Unless a TL percentage is established by law, insurers will use the total loss formula. Do you want to challenge what the insurance company is offering you? Start with a claim review.